I don’t remember reading this Kalam, but it has been ingrained within my subconscious. I even don’t remember the first time I heard it. And I am not alone, a community has been bonded together with this age old Kalam. The mountains of Pir Panjal, the Dhoks and the Margs right from across the Jhelum to Badharwa and even beyond resonate with words of wisdom.Awal Hamd is the first couplet of Saif-Malook( also called Saif ul Malook, Safar ul Ishq) and is an introduction, a prayer and praise of almighty. Saif Malook is the magnum opus of Mian Muhammad Baksh. It uses a lovestory as an allegory to describe Sufi’s journey. The magic of Saif Malook lies in its simplicity. It has been intricately woven into the local parlance and yet it is able captures magnanimity of Sufi thoughts and ideas. Text is concise and mostly deals with trails and tribulations of day today lives. Themes of friendship, ego, kinship and adoration are dotted throughout. The text opens up as the tale of Price Saif-ul-Mulk who falls in love with fairy princess Badi-ul-Jamal. It describes prince’s journey towards his goal faced with existential questions and the white Giant- Deuo Safaid. The genius of Muhammad Mian Bakhsh is in creating couplets which are complete in themselves and yet when projected together, they form small parts of a much bigger plan. Text contains over nine thousand such couplets which share a metrical form. Saif Malook had been a part of social gathering. On occasions of happiness it served as a token of thankfulness and in gloom, a source of compassion and inspiration. It has been orally transferred over the generations and has become part of the culture. Mountains of Pir Panjal which are inhabited by nomadic tribes Gujjars and Bakerwals have contained within themselves this intricate Kalam. The silence of summer grazing grounds is often broken by grazers singing Saif Ul Malook to themselves.Mian Muhammad Bakhsh is described by many as a saint who wrote in Pothawari/Pahari/Panjabi and belonged to Gujjar community. The language of his text has been an issue of debate as it contains words from different dialects. This is a reflection of conscious effort of writing in a language that can be understood by vast section of society by choosing to write in a form where in words from multiple dialects have been combined. Moreover his couplets have been adequately reshaped as they traveled on, though simplicity at the heart of his couplets hasn’t been lost and this simplicity is the reason peasants and poor know it by heart. In his own words ishq nahi puchda zaataan (love does concern itself with castes). The adoration of his poetry stands above any such divisions. He attempted to defy the differences and build cohesion which is reflected through his major works. The couplet that has come to signify his merit in twenty first century talks about such differences in a tone which is undoubtedly not unknown. But never break the heart of a man, for Lord dwells in there. In another such couplet of utter astonishment , Main Bakhsh describes the innate human nature writing about poverty. He excellently penned down human fears like other great Sufi poets. The duality of meaning associated with couplets is natural as the search for belonging is warped into mundane quests of worldly desires. The intent is different from surface form that the words covey, much like an illusion. This duality is essential as the seen/visible meaning leads to unseen/hidden meaning like in the following couplets. For when friends meet grief vanishes, thanking a hundred thousand times. As long as love doesn’t burn you, friendship cannot be complete. He did not shy away from expressing his discontent, resorting to euphemism to express facts of understanding. The sweetness of words hides behind itself the poignant meaning. Just as the desserts can’t be savored by dogs. “Mulkan vichon mulk hai sohna, jis da naa Kashmir. In Khari Sharif resides, the beloved Damriyan wala peer. Khari Sharif is home of Hazrat Baba Pir e Shah Ghazi ‘Bu Ali Qalandar who is popularly known as Damri Walay Peer. 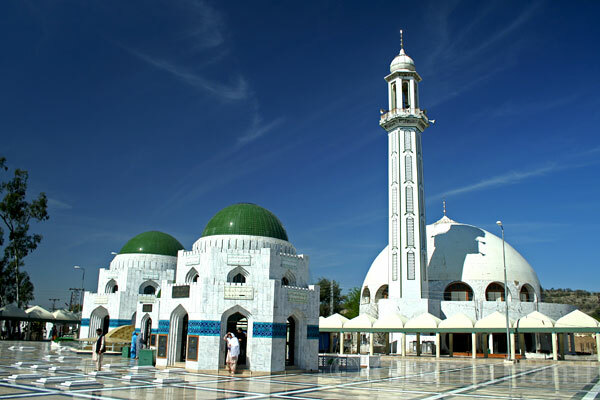 Mian Muhammad Bakhsh’s body resides very near to his Peer’s in this Sufi shrine which is located near Mirpur. 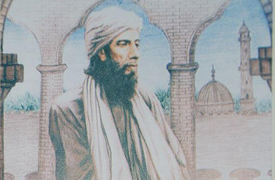 Mian Muhammad Bakhsh is popularly known as “Rumi-e-Kashmir”, in acknowledgement of his immense contributions to poetry, Sufism and folk tradition. This entry was posted in Folk, Gojri, Jotting, Kashmir, Sufism and tagged Bakhsh, Gojri, Kashmir, Pahari. Bookmark the permalink.